With the US Open underway in Flushing Meadows, New York, tennis fans can celebrate the fourth and final grand slam of the year, and the only one on American soil. The tournament has evolved tremendously since it was first held on grass courts in Newport, Rhode Island in 1881. It was then known as the US National Championships and amateur male players competed for the prestigious title long before the professional Open Era began in 1968. 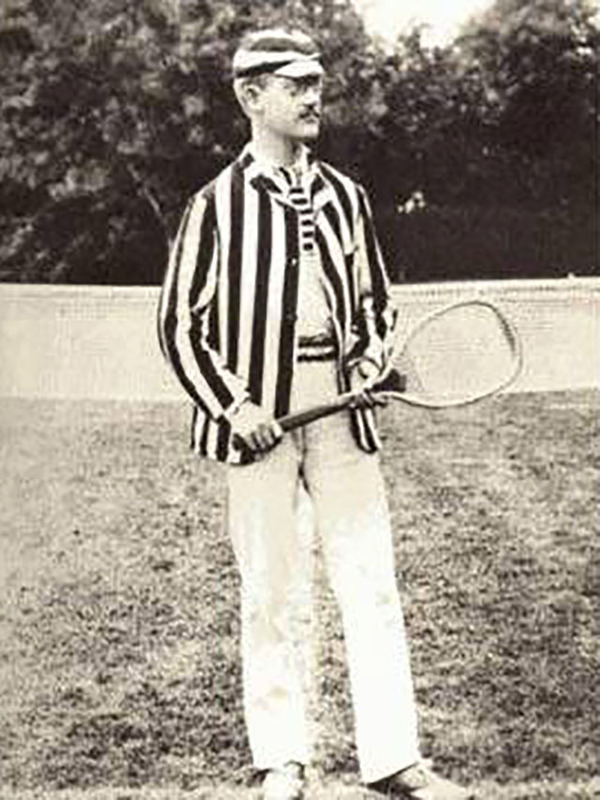 Richard D. Sears was an American tennis player in the late 1800s. He dominated the sport like no other has, winning the first seven consecutive US National Championships, from 1881-1887. In fact, Sears still holds the record for the most singles titles (seven) and doubles titles (six), when considering the entire timeline of the tournament, not just the Open Era. 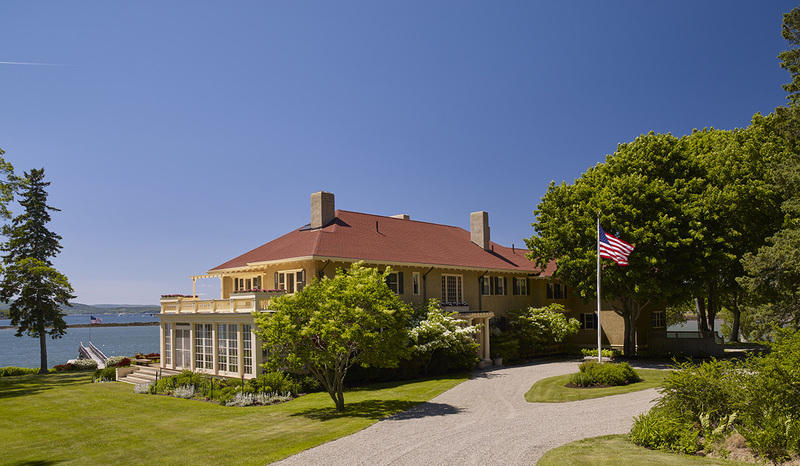 Sears, a Harvard graduate hailing from a prominent Boston family, commissioned a summer home on the island of Islesboro in Maine in 1907. At the time, Islesboro was growing as a popular summer community and attracted early rusticators from Philadelphia, New York and Boston. 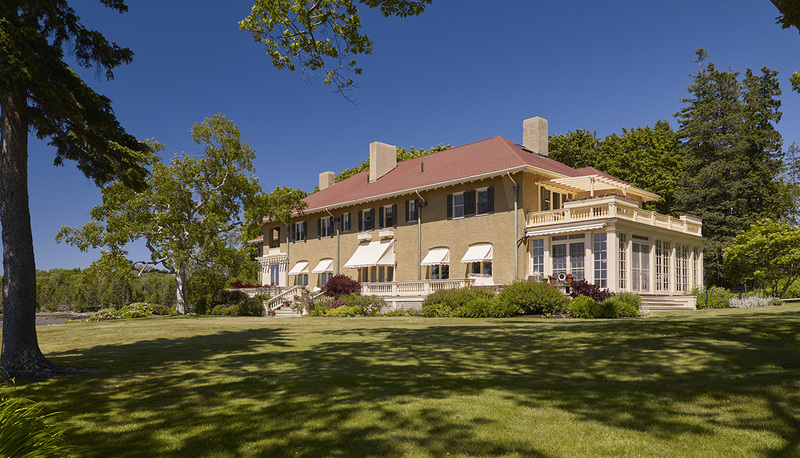 The residence Sears built is now known as the Sears Cottage and is in fact not a cottage at all, but a grand summer estate built on 21± acres with 1,110± feet of shorefront on Gilkey Harbor and stunning western views. The exquisite waterfront estate includes nine bedrooms and nine baths, extensive staff quarters, guest cottage with four-car garage, billiard house, carriage house/stable, and deep-water dock with floats. The residence was lovingly restored by its current owners and retains much of its original historic character and details, such as custom woodwork and eleven unique, wood-burning fireplaces. The estate is accessed by a long, winding private drive that gracefully meanders through gardens and around a spring-fed trout pond. The outbuildings contribute to the overall aesthetic of the grounds and qualify the property as a true estate. Almost all the bedrooms offer water views and many have fireplaces and en-suite baths. An extensive deep-water dock and float system enables access during any tide and is also perfect for kayaking and swimming, or watching the sun set over the Camden Hills! Please click here for additional information about Sears Cottage.